I thought this was stuff that only happened in fan fiction or in dramas. Taiwan President Ma Ying-jeou’s elder daughter Lesley has married Allen Tsai, a US-raised investment banker who used to be a model. 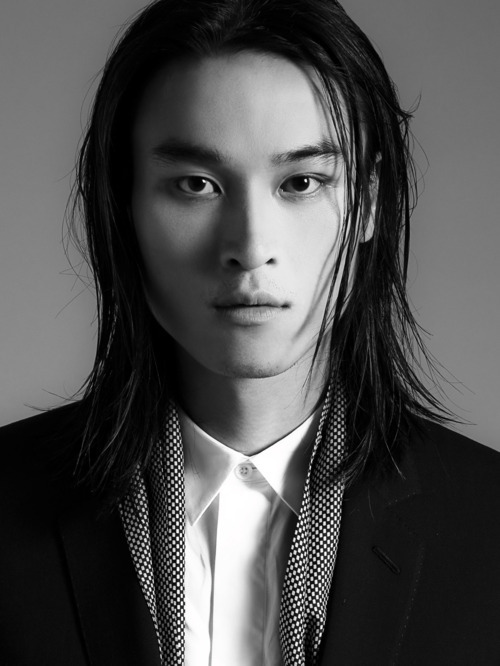 Allen has worked for Gap, Levi’s and Calvin Klein as well as walked catwalks in Milan and appeared in international fashion magazines according to reports here, here and here. According to the news, Allen–whose Chinese name is 蔡沛然 (Tsai Pei-jan)–is a Harvard graduate just like Lesley. He finished information science and is now working at Deutsche Bank in Hong Kong, where the couple is based. What’s funny is how the Taiwan press made a big hoohah about the low-key wedding, demanding that they need to know about the background of the First Son-in-Law to make sure he does not pose any threat to Taiwan’s national security. Yes, that’s right, because apparently some people still live in the Cold War era. Looking at it from the other side, shouldn’t it be cited as a good example that the couple chose to be low-key as opposed to those children of other politicians who throw grand banquets (hopefully not spending public money)? 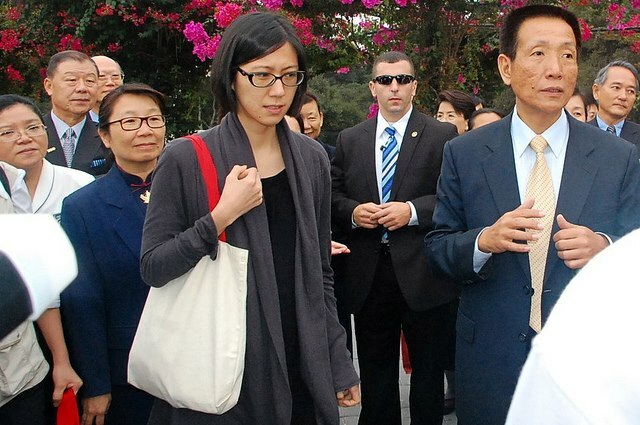 President Ma’s daughters have always been unassuming, eschewing bodyguards and rejecting VIP treatment wherever they go. They should be models for children not only of politicians but any prominent person. In fact, according to reports, it was Lesley’s and her mother’s wish to be low profile about the whole thing. But the media still got wind of the wedding dinner at Taipei’s Grand Hotel so before Allen probably realized what was happening, his past has been dug up. Allen went to the US as a young boy. His parents are now retired and based in Taiwan. He and Lesley reportedly had a long courtship, whatever that means in today’s casual relationships. Some politicians of course promptly jumped on the opportunity and questioned whether Allen has done his military service. Taiwanese males are required to serve in the military and they insisted that if the presidential son-in-law has not done his service to his motherland, isn’t he setting a bad example? Dear politicians, why don’t you focus your attention on well-known celebrities who are working and living in Taiwan and have not done their part, like Mike He, maybe? Meanwhile, the Taiwan government said Allen has obtained an “Overseas Compatriot” status and is therefore freed from the compulsory service. More stories on the new presidential son-in-law here, here and here. More photos from tumblr. Allen’s Facebook has reportedly been deleted (or maybe switched to uber private). Poor guy, the price of marrying into politics. I hope the paparazzi leave the bride and groom alone. Best wishes to the newlyweds! 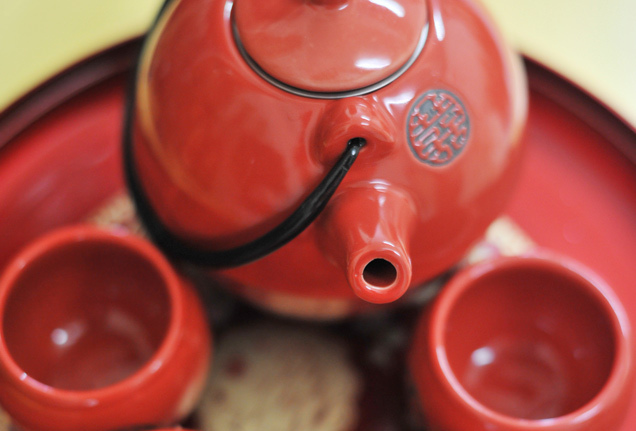 At the tea ceremony, newlyweds serve sweet tea to attract happiness and foster good relations with the in-laws. This post is GREEN. Oscars 2013: gong xi Ang Lee!!! Gah~~ Same reminds me of Fanfics, mangas. Wait~ How about that Taiwanese manhua called Ingenuo? Or it’s sequel, Steel Rose?